Last week I tried out a new restaurant which opened up in Belfast city centre in December. Solo Kitchen and Bar is based in Wellington Place at the former Wimpy and Carlton Bar. The restaurant seats 40 in the tapas area and 80 in the casual dining area which a mixture of Asian and European food. I decided to go for my old favourite, salt and chilli chicken, while my mum opted for the seafood linguine. 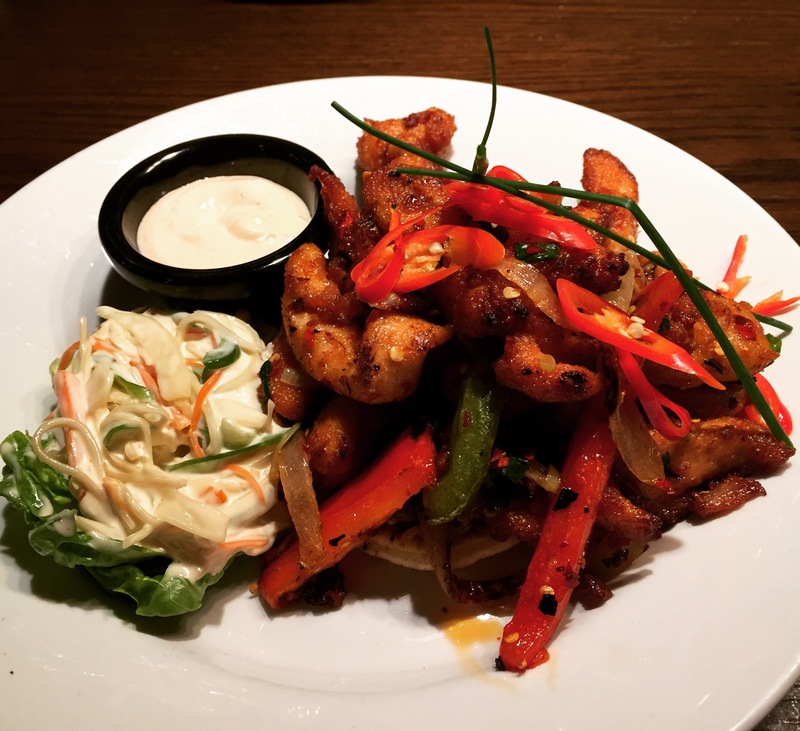 We also choose a side of Cajun spiced fries to share. The salt and chilli chicken costs £5 for the small portion and £8 for the larger potion and comes with naan bread, Asian slaw and chilli and lime aioli. I was extremely impressed by the amount of chicken and the brilliant portion size matched the brilliant taste. The chicken strips were crispy, flavoursome and spicy, without being too dry. It was completely ‘more-ish’ and I would definitely order it again. 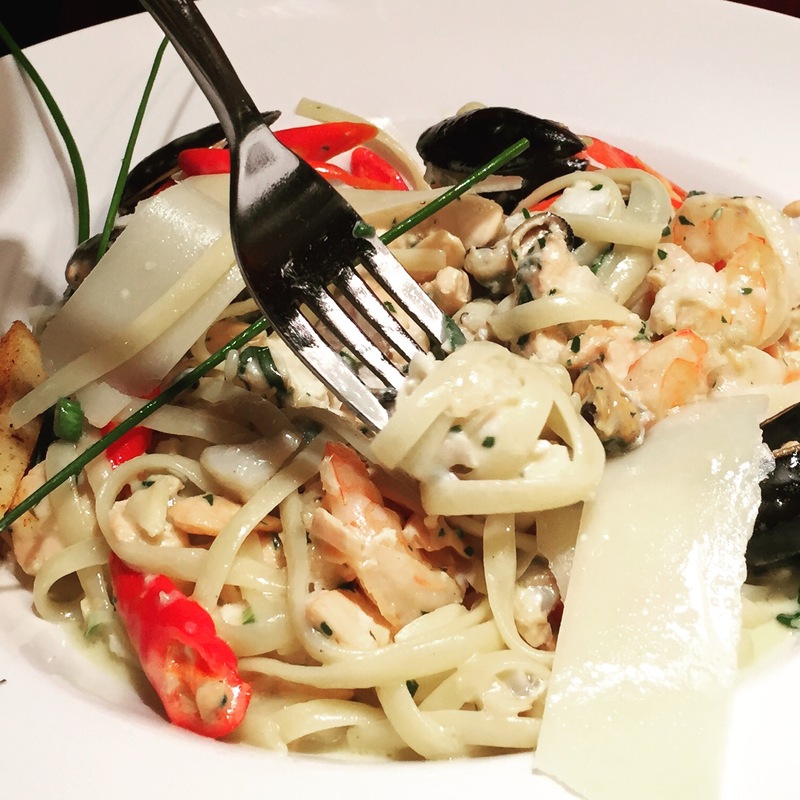 Equally, my mum raved about her linguine and remarked that the portion size was impressive. 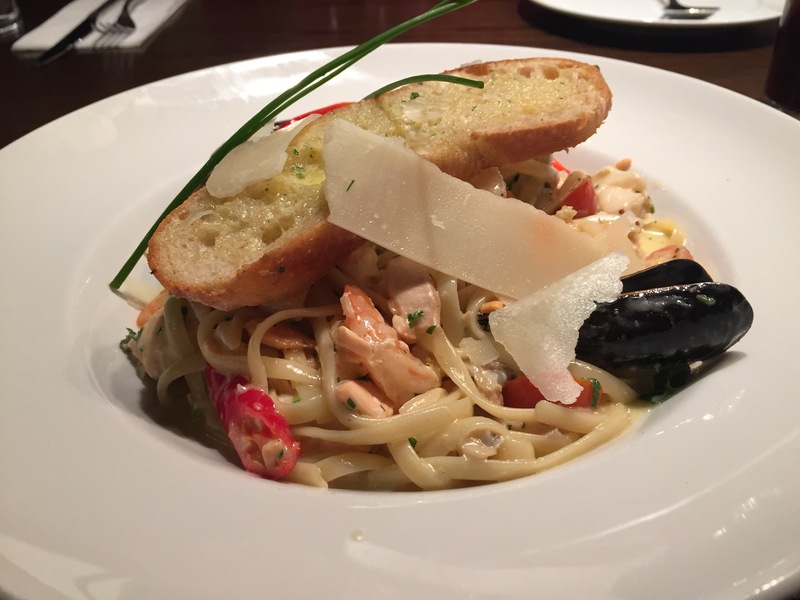 The pasta was served with mixed seafood including prawns and mussels (a lot, may I add), garlic, fresh chillies, cherry tomatoes and a white wine cream sauce. It also came with garlic bread. We didn’t have time for dessert, but I would loved to have tried the puddings which include chocolate fudge cake, orange panna cotta and tiramisu. I didn’t know much about Solo so might not have necessarily tried it any time soon, but I’m so glad I’ve found this little gem! Previous postYelp Belfast: Cupcake Off!